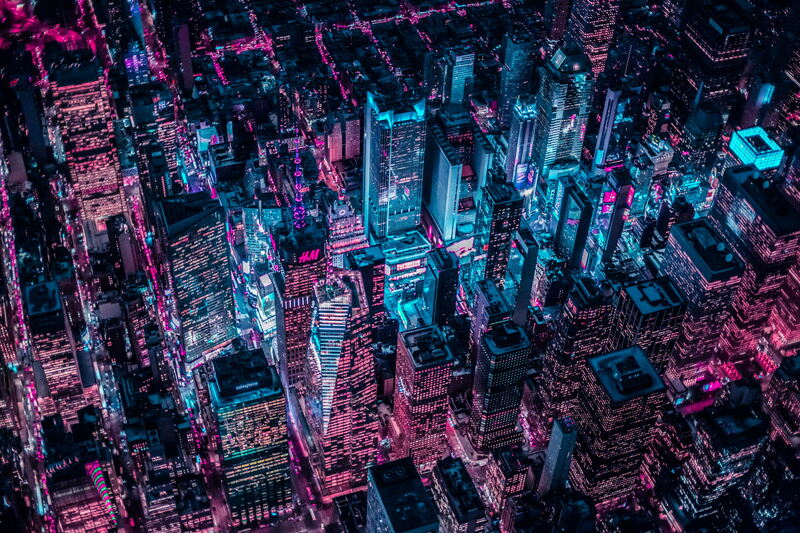 A new destination for Xavier Portela, a Belgian-Portuguese photographer who is famous for his night-time shots using colour manipulations that gives them a standout pink tinge, the “glow” that, after Tokyo and Bangkok now takes us to New York. Xavier Portela continues his “Glow” series. The Belgian-Portuguese photographer came to the international fore with his work “Tokyo Glow” followed by “Bangkok Glow” and now he has added New York. This “City that never sleeps” seems particularly suitable for night-time photography, using Portela's captivating “glow” technique. Xavier Portela revealed some interesting details about his photo shoot, starting from an analysis of the light that he found in New York, for years one of his favourite go-to places, the city where he recharges his batteries, a kind of temple where he can find inspiration and peace. The thing he noticed straight away when he began photographing for the series was that it is not as bright as Tokyo, with the city lights concentrated around Times Square. When you look at the aerial pictures you can clearly see that Times Square is basically the light source of Manhattan, the rest is way darker at night. Tokyo and Bangkok have those bright lights on the streets but the buildings are dark, whereas when you look at Manhattan, almost all the windows are lit up. And the differences between this and the two Asian series don't end here. You can see it in the different colours presented by “New York Glow”. This drove Xavier Portela to use a different post-production technique because it was not possible to replicate the same process he adopted in Tokyo. “...people always think that I'm using some presets and just apply them to all my pictures... but the thing is the light is very different and if I just copy/paste the process I used for Tokyo over Manhattan it wouldn't work. Actually, sometimes just from one street to another, you have to redo the whole process”. So “New York Glow” has its own specific colours, more red and blue. Whereas, pink and purple are concentred in Times Square, because, as we mentioned, this is one of the brightest areas of Manhattan. The human factor also plays an important role in the photo shoot. Xavier Portela explained that as a European tourist in Bangkok and Tokyo, it was obvious that he wasn't a local. But in New York, it's a whole different ballgame because it's almost impossible to distinguish the locals from the tourists in this huge melting pot. And even more to the point, it's really hard to take original photos because there is almost no angle of Manhattan that hasn't been photographed. Of course, Xavier Portela gets around that obstacle by manipulating the colours in order to give people looking at his photos exciting the feeling that they have our could have on location.